The purpose of interest housing is to provide student organizations with an option to pursue living in community. Groups are required to create a purpose statement and identify goals for their housing group. Students are members of an established chartered organization. Established chartered organizations are groups that have been chartered and have operated for at least one full academic year at the time of application. While functioning as a subset of their larger organization, the interest housing group is student led and student-initiated. At least two members of the housing group are also members of the organization’s student leadership body (ex. executive board, leadership team). Student Leadership: Interest housing communities function as student-led extensions of their parent organizations. Each community must have a single identified student leader who lives in the community and acts as the Community Liaison, or point of contact between RL&H and the group’s members. Learn more about the Community Liaison role on our REC Student Leader page. 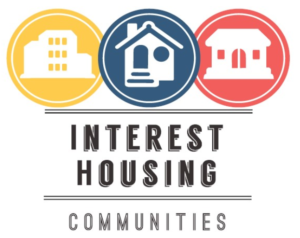 Interest Housing Programming and Budget: Interest Housing Groups are not required to complete a programming requirement, except where specified in their group’s goals. However, programming partnerships with the parent organization are encouraged. Interest Housing groups do not receive a budget; however, funding for programs may be requested through Residence Education and other funding sources within the University. Funding is granted on a case-by-case basis and depends on the availability of funds and the nature of the request. Funding requests should relate to a program or initiative that directly supports the purpose and goals of the community or the overall mission of Residential Engagement Communities. All members of all interest groups are required to attend an informational meeting during the beginning of Fall Semester. All members of an interest housing group will be held to the standards of conduct outlined in the Guide to Community Living and the Student Code of Conduct. Conduct violations by an Interest Housing Community or individual within an Interest Housing Community may result in the reassignment of a student or dissolution of the community as a whole. Group members should be members of the parent organization or connected to the organization in some way.